The Economic and Financial Crimes Commission (EFCC) has come under a flurry of attacks as the Nigerian Bar Association (NBA) and other groups of lawyers demanded immediate release of former NBA 2nd Vice President, Mr. Monday Ubani. 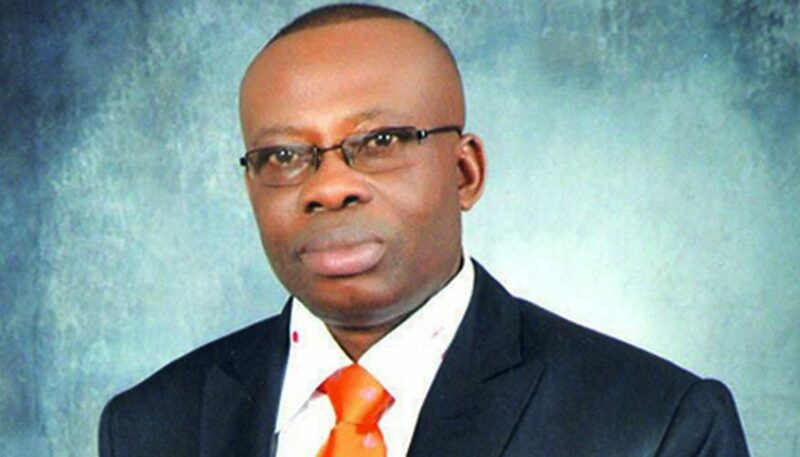 An ardent social critic, Ubani has been in EFCC custody for about three weeks for allegedly standing surety for his client and former Nigeria Social Insurance Trust Fund (NSITF) chief executive, Dr. (Mrs.) Ngozi Olejeme. The attention of the President of the Nigerian Bar Association, Paul Usoro, SAN has been drawn to an order of Honorable Justice Sylvanus Oriji of the Federal High Court wherein His Lordship, on March 26, 2019 granted an ex-parte motion filed by Chief Mike Ozekhome, SAN directing the Economic and Financial Crimes Commission to charge, Monday Ubani, a former 3rd Vice President of the Nigerian Bar Association (NBA) and his co-applicant to court on or before Friday, 28/3/2019. It has been 3 days after the order of the court was made and the EFCC, has characteristically shown daring disobedience to the orders of the court by refusing to release Monday Ubani on bail or charge him to court before the 28/3/201. By the provisions of Section 1(1) of the Constitution of the Federal Republic of Nigeria, the provisions of the Constitution of the Federal Republic of Nigeria is supreme and binding on all persons and institutions in Nigeria. Mr. Monday Ubani still remains in the unlawful custody of the EFCC for more than three weeks, which is a gross violation of his constitutional rights to personal liberty. Democracy thrives only where there is a culture of respect for rule of law and due process by all persons. The EFCC, being a product of law, must also be subject to the laws of the Federal Republic of Nigeria, and therefore, cannot be above the law. The agency’s penchant for disobedience to orders of court is an ominous threat to rule of law and impacts negatively on Nigeria’s investment environment. The Nigerian Bar Association, therefore, demands that the EFCC immediately complies with the subsisting order of the Federal High Court by releasing Monday Ubani or charge him to court, if there is any reasonable cause to so do. The Nigerian Bar Association also urges the President of the Federal Republic of Nigeria, Muhammadu Buhari to closely monitor the activities of security agencies, like EFCC and DSS, and ensure that they obey the fundamental rights of Nigerians and respect the Constitution of the Federal Republic of Nigeria in the performance of their functions. The Otu Oka Iwu (Law Society) has watched with dismay the flagrant disregard of a valid and subsisting court order and the 1999 Constitution by the Economic and Financial Crimes Commission (EFCC) led by its Acting Chairman, Mr. Ibrahim Magu. The court in the alternative ordered that “If the Applicants are not charged to court on or before 28/3/2019, EFCC is directed to release them on bail” upon fulfillment of some listed conditions. It is a matter of deep concern and national embarrassment that the EFCC has chosen to brazenly disobey this order of the court. It has neither charged the former NBA Vice President to court nor granted him any administrative bail. Aside from the EFCC and its leadership being in clear breach of the extant order of the Federal High Court, the continued detention of Mr. Ubani also violates Section 35 (4) of the 1999 Constitution which provides that “Any person who is arrested or detained in accordance with subsection (1) (c) of this section shall be brought before a court of law within a reasonable time.” The maximum detention period is 48 hours, except extended by a competent court. Mr. Ubani has been in EFCC custody for about three weeks. It also violates the detainees’ right to dignity of human persons, right to personal liberty, and right to freedom of movement as set out in sections 34, 35 and 41 respectively of the 1999 Constitution. This culture of impunity as consistently exhibited by EFCC and its leadership continues to ridicule Nigeria in the comity of nations and sabotage efforts at attracting foreign direct investment. Investors only go to jurisdictions where the rule of law and respect for human rights are guaranteed while shunning countries where ‘rule of men’ predominate. It is even more worrisome that this blatant disobedience of a valid court order by the Magu-led EFCC is coming on the heels of serial disobedience of court orders by the Federal Government directing the release from custody of former National Security Adviser, retired Col. Sambo Dasuki and leader of Shi’a Islamic Movement in Nigeria, Ibrahim El-Zakzaky and his wife. Is Mr. Magu merely taking a cue from the Federal Government? We note that by the continued disobedience of the order of Federal High Court, Mr. Magu and the EFCC have displayed utter contempt for our courts and the country’s judicial system. It is ironic that these are the same courts the EFCC routinely runs to for orders which they zealously implement in the discharge of their mandate under the EFCC Act. It is not for EFCC and its leadership to pick and choose which court orders to obey or disregard. That is an invitation to anarchy. What is more, he who comes to equity must come with clean hands. It is further recalled that the courts have severally cited the EFCC and its chairman for contempt, even as stiff damages have been awarded against the commission, thereby dissipating scarce public resources. It is more worrisome that Mr. Ubani, an ardent critic, activist and social crusader, was asked to personally take his client on bail by Mr. Magu, the EFCC having rejected top civil servants it earlier demanded. Was this a ploy to silence the former NBA chieftain and unrelenting social critic? We demand immediate release of Mr. Ubani and his co-applicant in line with the subsisting order of the Federal High Court. Further, we demand a high-powered judicial enquiry into the allegations of complicity and dereliction of duty leveled against the EFCC and its leadership. The time to sanitize EFCC and rid it of corruption is now! Enough is enough! We urge the Federal Government to take immediate steps to ensure that EFCC does not derail its avowed commitment to the rule of law and respect for fundamental rights of citizens. This has become more pressing given the presence of many senior lawyers including Vice President Yemi Osinbajo SAN in the Buhari Administration. The EFCC’s Gestapo-style regime of holding citizens for weeks and months without trial and at times without valid court orders must stop. Nigeria is not a banana republic. Attempts by institutions of state to ridicule the country and make it seem like a lawless fiefdom must be resisted by all citizens and the international community. RELEASE MONDAY ONYEKACHI UBANI, ESQ AND HONOURABLE CHRISTOPHER ENAI ON BAIL!!! The Governing Council and distinguished learned members of the Eastern Bar Forum ably led by Chief Arthur Elvis Chukwu, Esq., ACIArb., KSJI., hereby lend its voice and support to the order of the High Court of the Federal Capital Territory Abuja that the Economic and Financial Crimes Commission that is currently keeping in its custody Monday Onyekachi UBANI, Esq and Honourable Christopher Enai since 19/03/2019, bring them before a court of law charged with the offences they are alleged to have committed or release them on bail as already ordered by the court. Nigeria is in a constitutional democracy where respect for rule of law reigns supreme. The EBF seriously deprecates the EFCC’s disobedience to court order and urges it to do the needful. George Fortune Igbikikuno Esq., Publicity Secretary, EBF. Nigerian Bar Association (NBA) President, Mr. Paul Usoro (SAN) and former NBA presidential candidate, Chief Arthur Obi-Okafor are among the Bar leaders who are mourning the sudden demise of veteran Bar activist and former Chairman of NBA Kaduna Branch, Mr. Olumuyiwa Olowokure. Popularly known in Bar circles as “OO” in line with his initials, Olowokure was considered by many as a consummate Bar-man and a much-sought-after strategist especially in relation to Bar politics. During the last NBA Elections, he pitched his tent with Obi-Okafor and was one of his ‘Returning Officers’ during the poll. In particular, he was known for his cerebral disposition and integrity, as his support for any particular candidate never wavered. Moments ago the sad news of the sudden demise of Olumuyiwa Olowokure Esq reached the President of the Nigerian Bar Association, Paul Usoro, SAN and the National Officers. It was shocking and saddening. Mr. Olowokure was an active bar man who featured prominently in the activities of the Nigerian Bar Association as a former Chairman of NBA Kaduna branch and member of the National Executive Committee of the NBA for several years. He was also the Kaduna State Co-Ordinator of Swift Count. Olumuyiwa Olowokure served the bar in many other capacities and made positive contributions to the development of the bar throughout his more than 3 decades of practice. He contested for the office of the General Secretary of the NBA in 2012. On behalf of the National Officers, the NBA President condoles with members of the Nigerian Bar Association, particularly the leadership and members of NBA Kaduna branch and the family of our dearly loved colleague, over this very sad loss. The NBA President prays that the almighty God will grant the family the fortitude and grace to bear this loss and grant our dear colleague a peaceful rest in the bossom of the Lord. O.O. Olowokure’s Demise: A Good Man Bids Goodbye. It is with a heavy heart and sense of great loss that I join family, friends and associates in mourning the untimely demise of a one time Chairman of the Kaduna branch of the Nigerian Bar Association (NBA), Olumuyiwa O. Olowokure Esq, who passed on to eternal glory yesterday afternoon after a brief illness. O.O. as he was fondly called was an astute Bar man, a personal friend and confidant. As the head of my Technical Team during the 2018 NBA elections, I found in him a loyal, dedicated, dependable and committed ally who committed his time, energy and resources into my project to lead our noble association. O.O. will be remembered as a detribalized and consummate Bar man with the midas touch who during his tenure as Chairman of Kaduna branch of the NBA hosted one of the most successful conferences in the history of the association. He believed in excellence and brought same to bear in all he did. His sudden exit leaves a great vacuum that will be difficult to be filled. O.O. was a good man and my sincere prayers is that the Almighty grant his family, friends colleagues and members of the Kaduna branch of NBA, the grace to pass through this dark hour and may the soul of the deceased find eternal rest in the bosom of the Almighty. Adieu O.O. Olowokure Esq till we meet to part no more. The last may not have been heard on the controversial Nigerian Bar Association (NBA) Elections as the Economic and Financial Crimes Commission (EFCC) will today grill former NBA President, Mr. Abubakar Mahmoud SAN and Electoral Committee of the NBA (ECNBA) Chairman, Prof. Auwalu Yadudu on their roles in the elections. Also to answer queries from a battery of EFCC operatives is ECNBA Secretary, Mr. Bolaji Agoro. 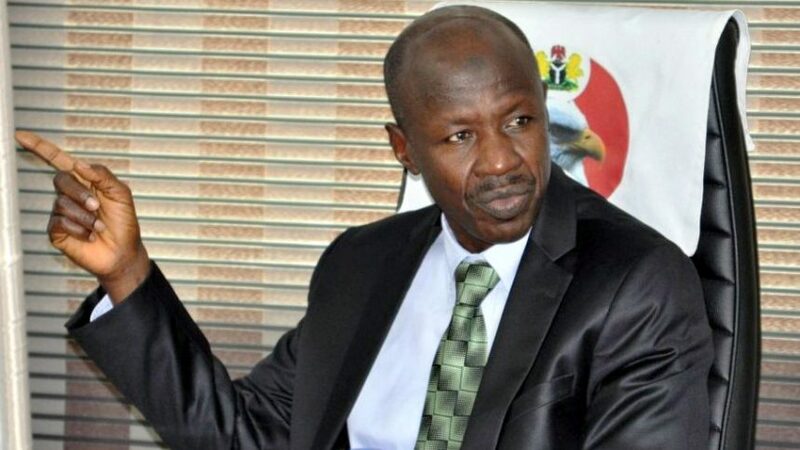 According to an impeccable source who is familiar with the investigation, though the EFCC operatives had earlier scheduled to interview the trio before now, they had requested that the interviews be done in Abuja. CITY LAWYER also gathered that the anti-graft agency has invited over 50 other lawyers from several NBA branches to its office in its bid to unravel allegations of rigging and sundry infractions during the elections. The investigation is being conducted by EFCC’s Cybercrime Unit. It is recalled that the EFCC had barely a month after the elections requested a certified true copy of the list of eligible voters for the poll from CHAMS Plc, one of the ICT firms that conducted the elections. 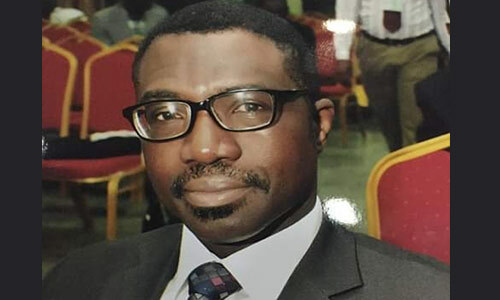 Signed by its Zonal Head, Mr. Akaninyene Ezima and titled “Investigation activities, Re: 2018 Nigeria Bar Association elections,” EFCC stated that the request was made pursuant to Section 38(1) of the Economic and Financial Crime Commission (Establishment) Act, 2004 and Section 21 of Money Laundering (Prohibition) Act, 2011 as amended. In the letter to the managing director of CHAMS Plc, the anti-graft agency further stated: “In view of the above, you are requested to avail us with certified true copy of the list of all eligible voters to include but not limited to Name(s), Phone Number(s), Email Address(es), Branch(es) and Voters ID. 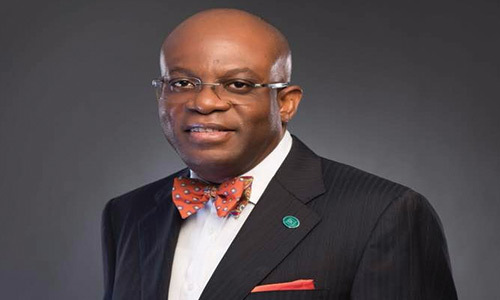 Mr. Paul Usoro SAN was declared elected as NBA President by the ECNBA. Usoro polled 4, 509 votes to beat Chief Arthur Obi Okafor SAN who scored 4, 423 votes while Prof. Ernest Ojukwu (SAN) polled 3, 313 votes. 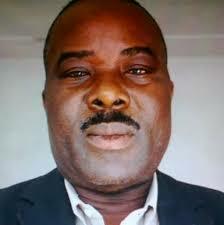 Both Obi Okafor and Ojukwu rejected the results, alleging that irregularities marred the elections. GADZAMA’S SUIT: WILL COURT SACK USORO TODAY? Chief Joe-Kyari Gadzama SAN will today know the outcome of his lawsuit challenging the election of former Nigerian Bar Association (NBA) President, Mr. Abubakar Mahmoud SAN. Justice Olukayode Adeniyi of the High Court of the Federal Capital Territory (FCT) had at the last adjourned date set down today to deliver judgement in the long-drawn matter following the adoption of final written addresses by the parties. Today’s judgement is being watched keenly by many in the legal circles, as it may affect the tenure of current NBA President, Mr. Paul Usoro SAN should the court rule in Gadzama’s favour. It is recalled that Mahmoud has concluded his tenure, thus the argument by the defendants that the suit has become academic. But the plaintiff argues otherwise. Also, depending on the judgement, there may be implications for the controversial NBA Constitution going forward. The appeal was however withdrawn while the matter was also remitted back to Justice Adeniyi who handled it originally before proceeding on vacation. Though the NBA leadership had at the pre-National Executive Committee Meeting in Port Harcourt set up a 5-member committee to reach out to Gadzama towards amicable resolution of the electoral debacle, the move proved abortive. Members of the committee were Chief Onomigbo Okpoko, SAN (Chairman); former NBA presidents Chief O. C. J. Okocha, SAN and Dr. Olisa Agbakoba, SAN; former NBA General Secretary, Mr. Yinka Fayokun and Lagos-based lawyer, Mr. Mbanugo Udenze who doubled as Secretary of the committee. 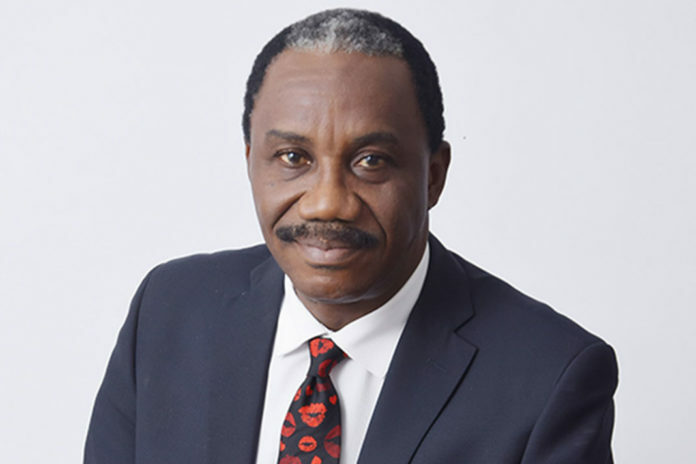 It is recalled that Mr. Darlington Onyekwere had at the last adjourned date adopted the Claimant’s final written address and urged the Court to grant the reliefs sought. He appeared with a team of lawyers for the claimant. While Miss Christabel Ndeokwelu appeared for the 1st Defendant, the 2nd to 6th Defendants were represented by Mr. Abdulrasheed Usman. Mr. Ede Uko represented the 7th Defendant (Grace Infotech Limited) while Mr. A. A. Malik appeared for the 8th Defendant. Mrs. R. U. Edibo appeared for the 9th defendant. The defendants however argued that the case had become academic, while the claimant’s counsel posited that a matter does not become academic merely because the act or conduct which gave rise to the action had been concluded. He cited the case of Plateau State v. AG Federation (2006) 3 NWLR (Pt 967) and Peter Obi v INEC (2007) 11 NWLR Part 1046 and urged the court to discount the defendants’ argument that the matter had become academic. Malik, counsel for the 8th defendant, aligned himself with the submission of the other counsel for the defendants that the case had become academic, moreso as Mahmoud had completed his tenure. He said there was no live issue for the court to determine and that the claimant had failed to prove his case. He however urged the court to nonetheless proceed to judgement. Gadzama had sued NBA trustees including Alhaji Abdullahi Ibrahim (SAN) CON, Chief Wole Olanipekun (SAN) OFR, Chief Thompson Joseph Onomigbo Okpoko (SAN) OON, Chief (Mrs.) Priscilla Kuye, Alhaji Murtala Aminu OFR and Chief Anthony O. Mogboh (SAN). They are listed as 1st to 6th Defendants while The Incorporated Trustees of Nigerian Bar Association is the 7th Defendant. Mr. Kenneth Mozia (SAN), Chairman of the ECNBA is the 8th Defendant while Mr. Oluwaseun Ajoba who doubles as the Secretary of the committee is the 9th Defendant. Others are Hajia Safiya Balarabe, Mrs. Amaka Ezeno, and Mrs. Eucharia Pepple – all members of the Electoral Committee – as 10th, 11th and 12th Defendants while NBA’s ICT Partner, Grace Infotech Limited is the 13th Defendant. Mr. Augustine O. Alegeh (SAN), the NBA President , is sued as the 14th defendant while Gadzama’s opponent who was declared winner of the election, Mr. Abubakar B. Mahmoud (SAN) is listed as the 15th Defendant. It is recalled that Mahmoud was declared winner of the election with total 3055 votes while Gadzama allegedly polled 2384 votes. But Gadzama had rejected the result, saying in his statement of claim that “contrary to the result declared by the 8th Defendant, at the close of voting, at 12:00 midnight on Sunday, 31st July, 2016, the result of the 2016 Nigerian Bar Association Election as it relates to the office/position of the President, as collated from and contained on the official voting domain/platform was as follows: Joe-Kyari Gadzama – 2,963; Abubakar B. Mahmoud -2,465.” This was as deduced by his ICT experts who conducted forensic audit of the poll. Aside from stating that the Internet voting mechanism, method and system adopted for the conduct of the 2016 Nigerian Bar Association Election “was not in conformity with the mandatory provisions of the NBA Constitution 2015,” the Life Bencher also impugns the Dispute Resolution Committee (DRC) as illegal and unconstitutional. “An order directing the 1st to 7th Defendants to set up a newly constituted Electoral Committee of the Nigerian Bar Association (ECNBA) which will issue Guidelines and conduct a fresh 2016 Nigerian Bar Association Election as it relates to the office/position of the President. “An order of this Honourable Court that the 2016 Nigerian Bar Association Election as it relates to the office/position of the President should be held through Electronic voting in all branches of the NBA or at least at the three (3) zonal levels established by the NBA Constitution, 2015 and that results should be collated at branch or zonal levels and transmitted to the ECNBA Secretariat for final announcement. He alleged that “Around 12:01 a.m. of Monday, 1st August 2016, the 8th Defendant announced the end of the election exercise. The 8th Defendant further, for the first time, introduced some persons who were said to be staff of the Independent National Electoral Commission (INEC) and he further announced that the so called INEC staff were there to audit the election result, which was ready. The 8th Defendant also announced that it will take 1 (one) hour to audit the said results. “Contrary to the expectations of the Plaintiff’s agents, established standards and international best practices, the said agents did not see the dashboard/monitor displaying the result of the Election, even upon voting being declared closed by the 8th Defendant. “The Plaintiff avers that the 8th Defendant, the Managing Director of the 13th Defendant and the 14th Defendant and the so called INEC staff left the Plaintiff’s poll agents and others in the Situation Room at the NBA Secretariat in Abuja, went to a separate room to ‘audit’ the results. “The 8th Defendant subsequently came into the monitoring room while the so called auditing was still going on to announce that the auditing was almost done and that the results were to be announced in due course. He remained in the situation room until after 1a.m. when the events in the next-following paragraphs took place. “Around after 1a.m. on 1/8/2016, Mr. Olugasa, the Managing Director of the 13th Defendant, the 14th Defendant and the so called staff of INEC came back into the monitoring room and got seated. “After re-introduction of the so called INEC staff; and the 8th Defendant and 14th Defendant had made some speeches, Mr. Ope Olugasa (Managing Director of the 13th Defendant) was asked to display the results on the dashboard. “But instead of using the laptop that had long been connected online to the big LG Television/Monitor in the situation room, both of which had from the beginning been used to display the limited information about the election exercise described earlier on in this statement of claim, Mr. Ope Olugasa swapped the said laptop with another laptop which contained the so called election result. The 8th Defendant then pronounced the declared results as they were displayed on the big LG Television Monitor. He stated that “On Friday, 29th of July, 2016 a day to the election, the names of eligible/verified voters continued to be padded and were never published 28 days ahead of the election, contrary to the provisions of the Nigerian Bar Association constitution and electoral guidelines,” adding that instead of utilising the advertised official portal/domain, the 8th to 14th Defendants “utilised another portal/domain (http://www.nigerianbar.org.ng) for the same Election process, just to enable them manipulate the said Election. Gadzama’s legal team was led by Chief Emeka Ngige, SAN alongside Chief Bolaji Ayorinde SAN, Chief Pius Akubo SAN and Chief Sebastine Hon SAN among others.